1. Состояние онкологической помощи населению России в 2014 году. Под ред. А.Д. Каприна, В.В. Старинского, Г.В. Петровой. 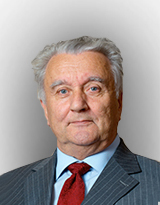 М., 2015. [Status of cancer care facilities, provided to the population of Russia in 2014. Ed. by А.D. Kaprin, V.V. Starinsky, G.V. Petrova. М., 2015. (In Russ.)]. 3. World Health Organization Classification of Tumours. Pathology & Genetics: Tumours of the Urinary System and Male Genital Organs. Lyon, France: IARC Press, 2004. 4. Orihuela E., Green J.M. Ductal prostate cancer: contemporary management and outcomes. Urol Oncol 2008;26(4):368–71. 5. Petersen R. O., Sesterhenn I.A., Davis C.J. Urologic Pathology, 3rd ed., Philadelphia, 2009, 636 p.
6. Hertel J., Humphrey P. Ductal Adenocarcinoma of the Prostate. J Urol 2011;186:277–8. 7. Melicow M.M., Pachter M.R. Endometrial carcinoma of proxtatic utricle (uterus masculinus). Cancer 1967;20(10):1715–22. 8. Baig F.A., Hamid A., Mirza T., Syed S. Ductal and acinar adenocarcinoma of prostate: morphological and immunohistochemical characterization. Oman Med J 2015;30(3):162–6. doi: 10.5001/omj.2015.36. 9. Stajno P., Kalinowski T., Ligaj M., Demkow T. An incidentally diagnosed prostatic ductal adenocarcinoma. Cent Eur J Urol 2013;66(2): 164–7. doi:10.5173/ceju.2013.02.art14. 10. Iğdem S., Spiegel D.Y., Efstathiou J. et al. Prostatic duct adenocarcinoma: clinical characteristics, treatment options, and outcomes – a rare cancer network study. Onkologie 2010;33:169–73. 11. Fujiwaraa R., Tsurua T., Kawauchia A. et al. Metastatic prostatic ductal adenocarcinoma successfully treated with docetaxel chemotherapy: a case report. Case Rep Oncol 2015;8:339–44. 12. Kumar A., Mukherjee S.D. Metastatic ductal carcinoma of the prostate: a rare variant responding to acommon treatment. Can Urol Assoc J 2010;4:50–54. 13. Paterson C., Correa P.D., Russel J.M. Ductal variant of adenocarcinoma prostate responding to docetaxel – acase report. Clin Oncol 2010;22:617.